The Lake Country Black Finishing Pad can be used when applying light polishes, finishing polishes, chemical polishes, paint cleansers, All In One (AIO), glazes, sealants and liquid waxes. The Black Finishing Pad is often used with Menzerna Micro Polish SF 4500 (PO85RD) if you want to jewel the paint. 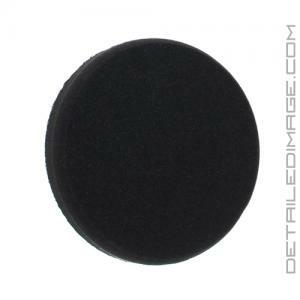 This pad is very soft and can evenly distribute the exact right amount of product needed for an amazing gloss and shine. Therefore it's also commonly used to apply your favorite AIO, sealant or liquid wax. The Black Finishing Pad is extremely gentle and easy to use so you get great results in less time. It has enough power to work the product in while providing maximum gloss at the same time. This pad is also sometimes referred to as the Lake Country Gray Pad or Grey Pad. Nice pad, but did start throwing little tiny chunks out at 2000 rpm and Poorboy's World Liquid Natty's Blue Wax. Great pad, used them before and never an issue or a scratch. Used once so far. Great polishing pad, recommended.